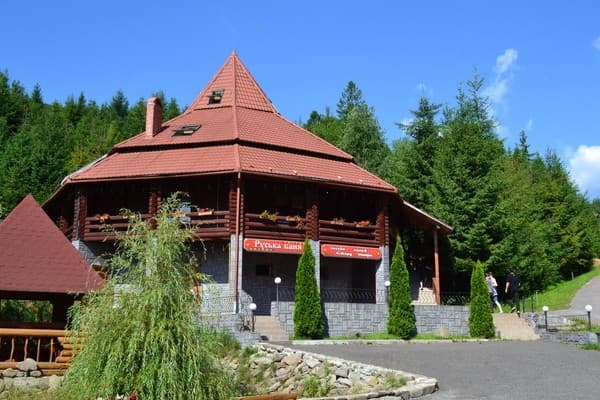 Hotel "Extreme" is located on the outskirts of the village Zhdenievo, in a picturesque corner of the Carpathian Mountains, in the immediate vicinity of the ski lift. 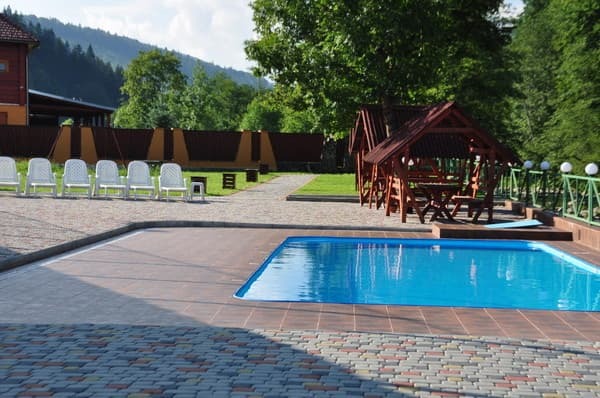 Thanks to its successful location, the mini-hotel "Extreme" is an ideal option for active recreation for beginners and professionals alike. 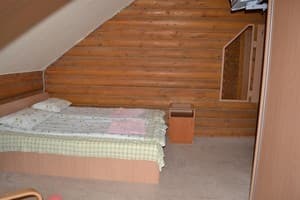 Description of the room: Room with a large double bed, bedside tables, wardrobe. Hot and cold water supply is uninterrupted. 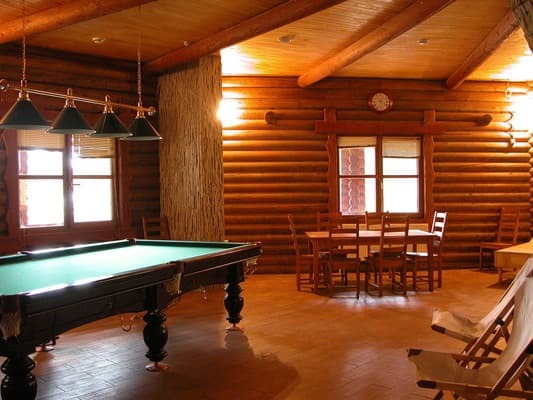 Description of the room: A spacious bright room that can accommodate a family with a child or a small company. 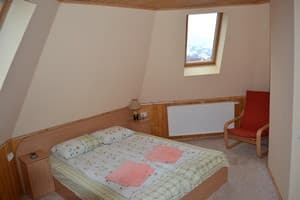 The room is equipped with a double bed, an armchair, a coffee table. Hot and cold water supply is uninterrupted. The cost of extra space is 50 UAH. 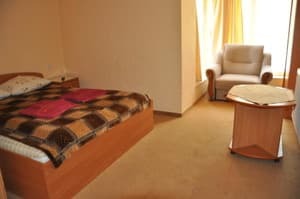 Description of the room: The room is equipped with a double bed, bedside tables, a wardrobe, TV, a bathroom with a shower. Hot and cold water supply is uninterrupted. 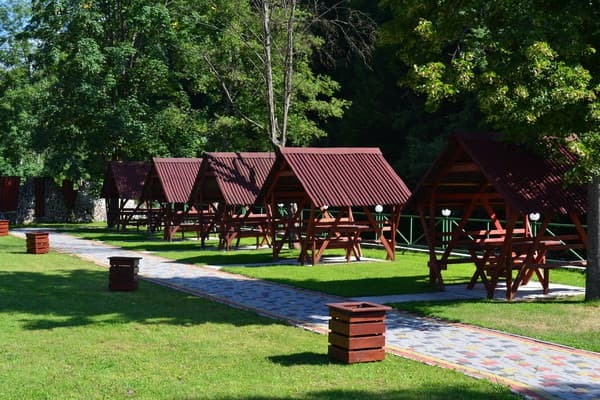 Near the hotel there is a tourist recreation center "Forel" and a recreation center for the football team "Dynamo-Kiev". The nearest ski slope is 30 m, and the lift is 10 m high. 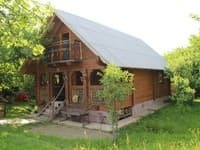 By the passenger train to the city of Uzhgorod, the station "Volovets". 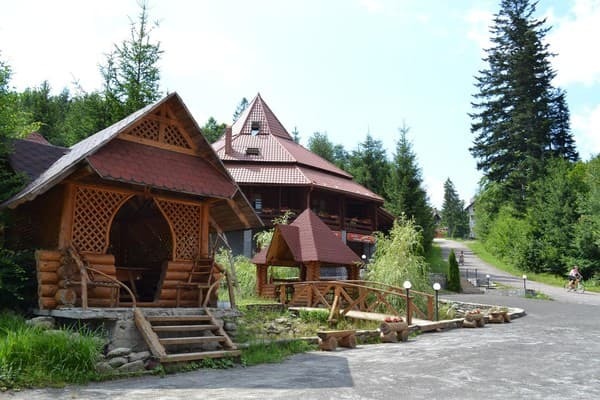 From the district center of Volovets to the village of Zhdenievo, you can get there by bus, by shuttle or by pre-ordering a transfer.